Bigtimerz - Oprah Winfrey to run for president against Donald Trump in 2020? 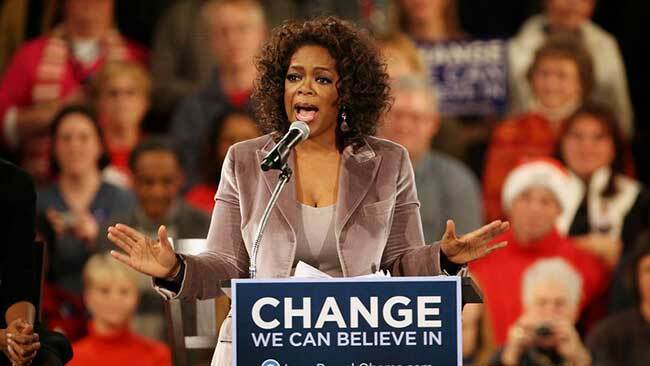 Oprah Winfrey to run for president against Donald Trump in 2020? Back in January, Newsday asked Oprah Winfrey if she would ever consider running for president. We’ve enjoyed over a month of the disastrous Trump presidency since then, though, and in that time it seems like Winfrey has come around to the idea. In an interview today with Bloomberg (via Buzzfeed), Winfrey noted that she never considered it before because she didn’t have any relevant experience, but now that she’s seen Trump do it, she’s starting to realize it might be worth thinking about. The discussion doesn’t go much further than that, but it’s clear that she’s definitely open to the idea.